Enterprise Resource Planning (ERP) software is complicated. It’s bulky, rigid, unforgiving and requires custom code. So when businesses choose to implement a new ERP, it has a tremendous impact on the organization. This impact can be experienced from three perspectives: business processes, software systems, and personnel within the organization. There are even times this impact is so tremendous that the business cannot conduct transactions on go-live day — activity grinds to a halt. Or, the company scraps the project after putting months of time and spending thousands, sometimes millions, of dollars in consulting or code development. See: Avon and their decision to pull the plug on SAP after spending $125M USD. Why does this happen? Business requirements aren’t properly gathered and documented, business requirements continue to change during the project, there is no clear ownership of the project, lack of executive sponsorship, usability of the application and end-users aren’t prepared to use the new system. A look back at the data from the last four reports shows the cost, duration and benefits of implementing ERP software. These projects are long, resource intensive and have a high impact on the business. And despite all the hype, only 14% of of respondents are using ERP delivered as Software as a Service (SaaS). This suggests market momentum to ERP in the cloud is not there yet as 61% of companies report using traditional on-premise ERP. 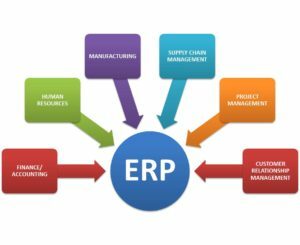 By definition, an ERP is a system that involves the planning and managing of the entire organization’s resources in the most efficient, productive and profitable manner. As an employee, this approach is cold and mechanical, but a company that decides to spend a ton of money on an ERP implementation must get something in return from the investment. What’s the secret to a successful implementation? Just as there are many factors that contribute to ERP implementations failing, there are many factors that contribute to a successful implementation. This four part series will focus on the things I used to successfully launch Oracle ERP on three separate occasions across 17 countries in 2 1/2 years. I’ll be providing specific instructions and examples that you can apply to your implementation and be successful. I call it a Training and Implementation Plan. This plan is generic enough to be used on any enterprise software launch — it’s not specific to Oracle, SAP, etc. I’ll show you how to keep users engaged leading up to go-live and how to provide information to executive management to show how well users are ready for go-live. What’s the goal of this training and implementation plan? To have go-live be a “non-event” where business doesn’t grind to a halt and users know exactly what to do when they log in. People aren’t running around asking for help or sitting and staring at their computer screen wondering what to do next. Management is able to sleep well the night before and your customers don’t even know you switched systems. This can happen if you prepare your organization. As the name implies, face to face training is defined as the user having direct personal contact and guidance from you or someone on the implementation team. Web-meetings and conference calls are not accepted in this phase. You actually have to go to the users and meet with them in a classroom setting. Not only meet with them but you must also listen to them. You’ve done your requirements gathering and now you are validating whether the system will do what it needs to at go-live. You might know more about the system than they do but these people are the real experts. And you listen to experts, right? Prior to meeting with the users, you must have a predetermined plan as to what processes and procedures you plan to cover while there on site. At a minimum, show them basic navigation, log-in, and talk about how the system lines up to the business process. Then let the users log in and follow your job aids in your test environment. Knowing they are in a test environment will allow users to relax when interacting with the system. User assessments. While there, be sure to take mental assessments of each user in the class and write them down. Do they grasp the concept you are teaching them? Are they reluctant to use the new system or are they embracing it? Do they have the skill set to be successful in the new system? Oracle and SAP can oftentimes require an end-user who has a higher technical aptitude. Someone who has been using the legacy system for 15-20 years might have a tough time transitioning to the new system. Ground rules. Don’t forget to set up ground rules during your face-to-face training. Don’t let the users be on their laptop surfing Facebook or on their phone texting their friends. As a rule, I would walk through the job aid first (click by click) with the group of users watching me. This facilitates open discussion behind the project team’s decision to design the system in this manner. It costs money to travel and it costs money to pull these people out of the legacy system during the day to meet with you. You are both there to learn; take advantage of this time together, you will reap the benefits in subsequent meetings. Also, don’t be alarmed or surprised if the users point out that something missing. Take notes and when you get back, talk it over with the project team to discuss how to handle it. Feedback is useful and the more you get, the better prepared you’ll be for go-live. What I have learned during this first phase is that this initial exposure and experience creates a productive learning environment promotes rapid adoption and sets the users and the project team up for successful future interactions. Don’t forget about those Subject Matter Experts (SME’s)! I mentioned SME’s above and these people will play a critical role in the success of your launch. SME’s need to be included in your overall strategy for a successful project implementation and post go-live support. During Phase 1 of this Training and Implementation Plan, you will want to include the SME’s in your face-to-face training and let the other users know that this person is the SME for this location. The SME will act as the liaison between you and the end users. Attitude: Does this person have a positive attitude, and is he/she able to influence others with their positive attitude? Comprehension: Is this person able to understand how the business process and system align? Leadership: Do users look to this person for help and support? Does the individual emerge as a natural leader? Knowledge Seeker: Does this person ask pertinent questions to the topics under discussion? Does the individual seek to understand issues and processes outside of their own responsibilities? Operational Knowledge Base: Does this person have a solid base understanding of the business operating processes and procedures required to do their job? There should only be one SME per location. Once you have identified your SME, you should begin to share project details with that person. If used properly, the SME will become invaluable during your project as they will assist in providing local training, training reinforcement, on the job training for new hires, and act as a feedback loop on issues as they occur both pre and post launch. Phase 1 of this training and implementation plan is Face-to-Face Training and User Assessments. Meeting with your end-users face to face early on in the project gives you an opportunity to show parts of the system they will be using on a daily basis. It also provides a setting to have good discussions about the system and how it aligns to the business. The time you spend with these users face to face is invaluable; use it to your advantage to build trust and gather information. Companies invest a lot of time, money and resources into implementing an enterprise software system. Data illustrates that there is a high failure rate when it comes to implementing these systems. Having a solid training and implementation plan mitigates the risk of a failed implementation. This is the first of four phases to a successful implementation. Subscribe and stay tuned for the next article in the series!